Voting in elections is one of our most cherished democratic rights but where we vote – and who the candidates are – can leave a lot to be desired. 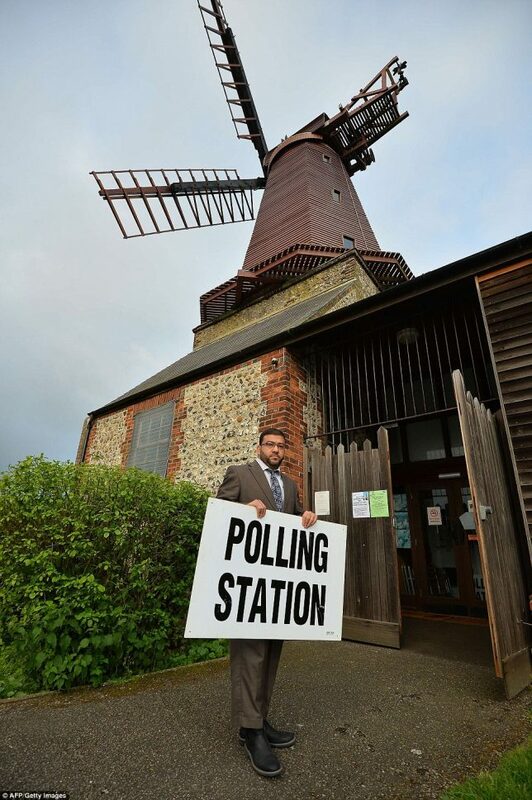 Polling places (or “polling stations”, as they’re known in the UK) are by their nature temporary establishments typically situated in schools or community centers. Sometimes, however, alternative voting locations must be set up when conveniently located suitable buildings are not available. 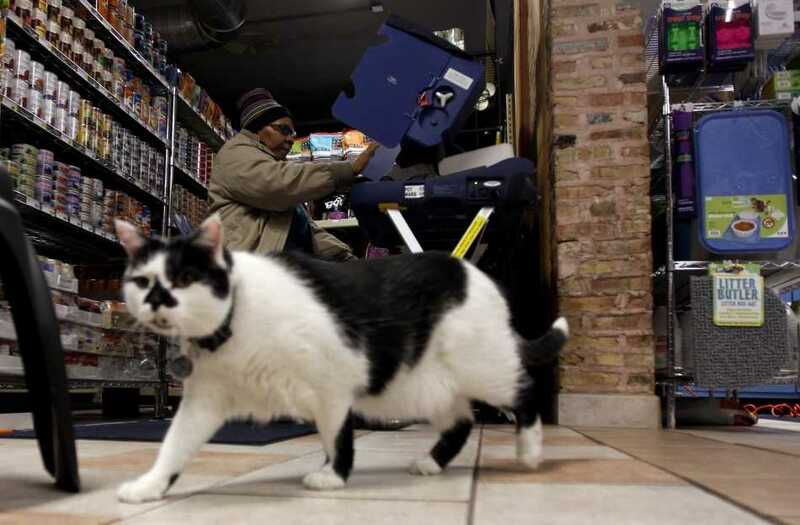 Take the example above – the Urbanimal Pet Store in Chicago, IL – where local resident Barbara Hunter exercises her democratic rights while Oreo the cat exercises his legs. 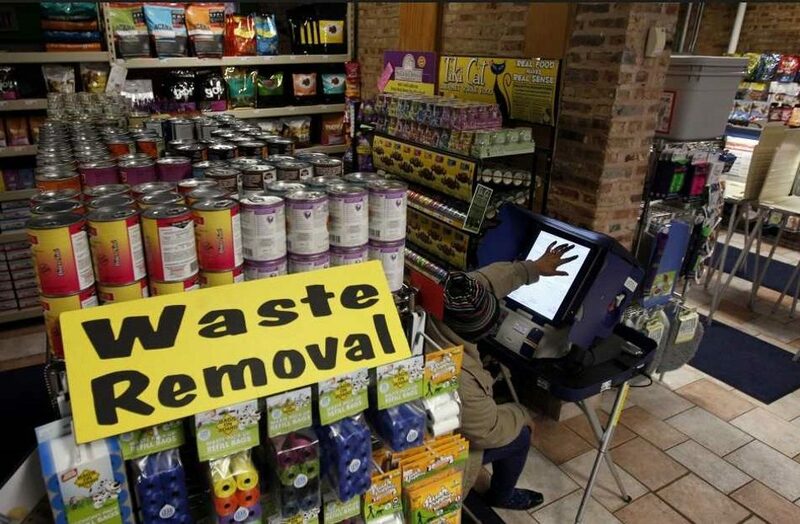 OK, so Chicago is notorious for its “deceased voters” but it’s not the only pace where those who’ve passed on can pass judgement on candidates. 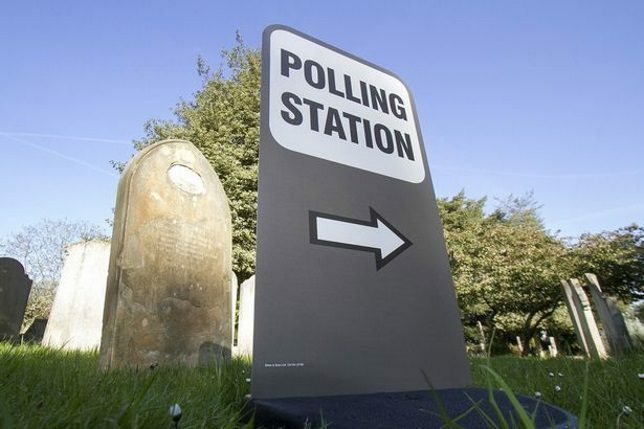 Here’s a polling station sign in the Wimbledon Church graveyard that looks eerily like the nearby tombstones. We wouldn’t be surprised if some nearsighted oldster leaves a bouquet of flowers at its base. Sure, most politicians are full of hot air and most voters are fed up with the windbags by the time election day finally rolls around. 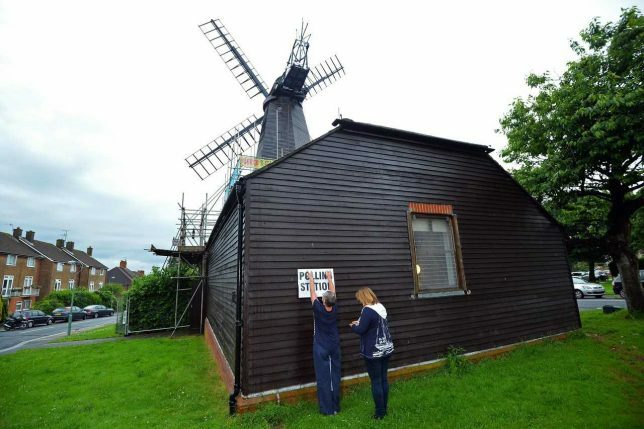 Well, what goes around comes around in Brighton, UK where returning officer Ahmed Jamee and volunteer assistants open a polling station set up inside the historic West Blatchington Windmill. 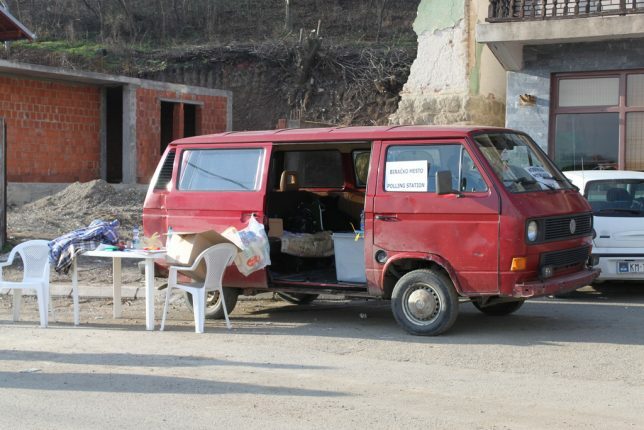 One would hope the owner of this slapdash voting station in Mitrovica-North, Kosovo doesn’t have “Free Candy” scrawled on the other side of his van. Kudos to Flickr user Mitra Nazar for showcasing this small and conveniently mobile Balkan polling station in December of 2010.